Holyhead, Tan Refail Windmill - Melin Tan Refail on the Isle of Anglesey (Ynys Môn) in North Wales. 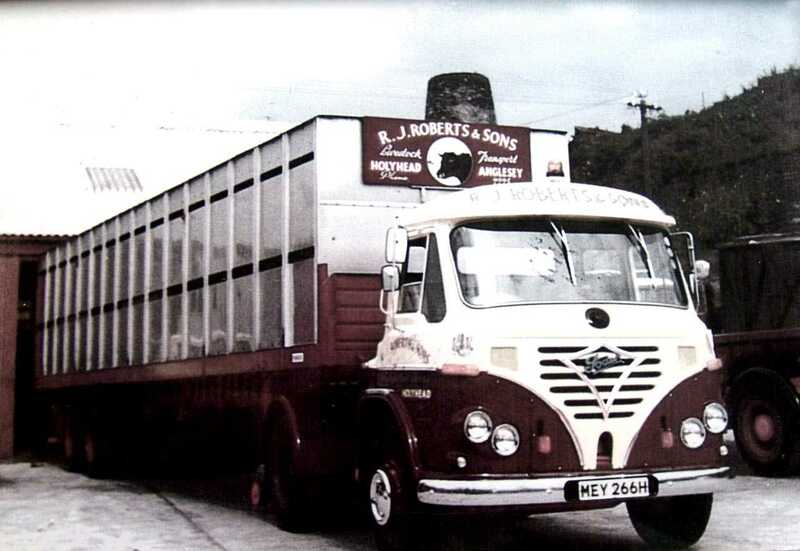 Anglesey, Holyhead, R.J. Roberts & Sons Haulage, 1970 Reg Foden with a livestock trailer - Melin Tan Refail Windmill in the background. 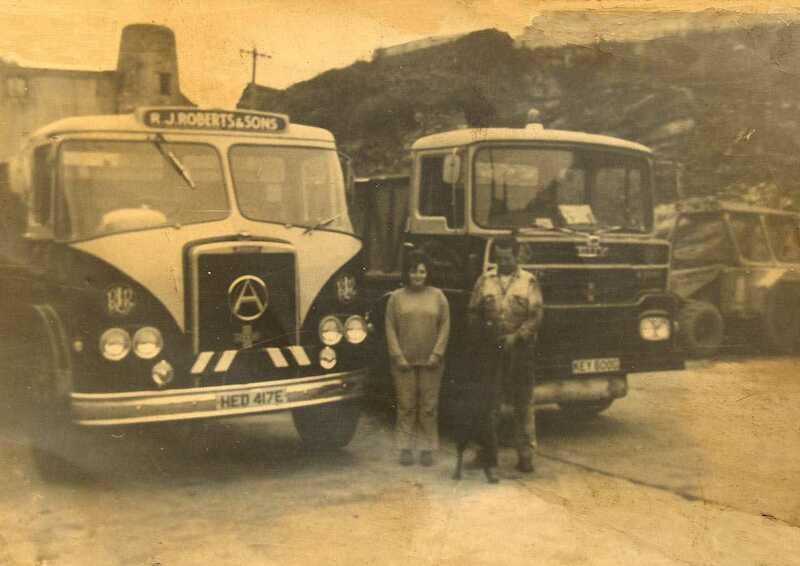 Anglesey, Holyhead, R.J. Roberts & Sons Haulage, John and Liz Roberts with Melin Tan Refail Windmill in the background early 1970's. This windmill was originally the power behind a saw mill and joinery business that was located where R.J. Roberts Haulage once had their business. Melin Tan Yr Refail Windmill can be seen in the background on the above two photos - courtesy of Mr John Roberts - and was destroyed to make way for a bungalow development, either in the 1970's, or the early 1980's.